We’ve reached 808 pages of Rubenerd posts. Be still, your beating heart! Introduced by the Roland Corporation in early 1980, it was originally manufactured for use as a tool for studio musicians to create demos. Like earlier Roland drum machines, it does not sound very much like a real drum kit. Indeed, because the TR-808 came out a few months after the Linn LM-1 (the first drum machine to use digital samples), professionals generally considered its sound inferior to sampling drum machines; a 1982 Keyboard Magazine review of the Linn Drum indirectly referred to the TR-808 as sounding like marching anteaters. However, the TR-808 cost US$1,000 upon its release, which was considerably more affordable than the US$5,000 LM-1. You had me at marching anteaters. 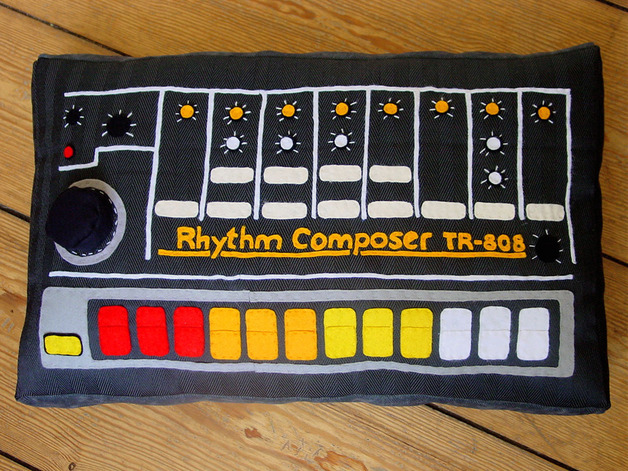 That and this rather lovely pillow.